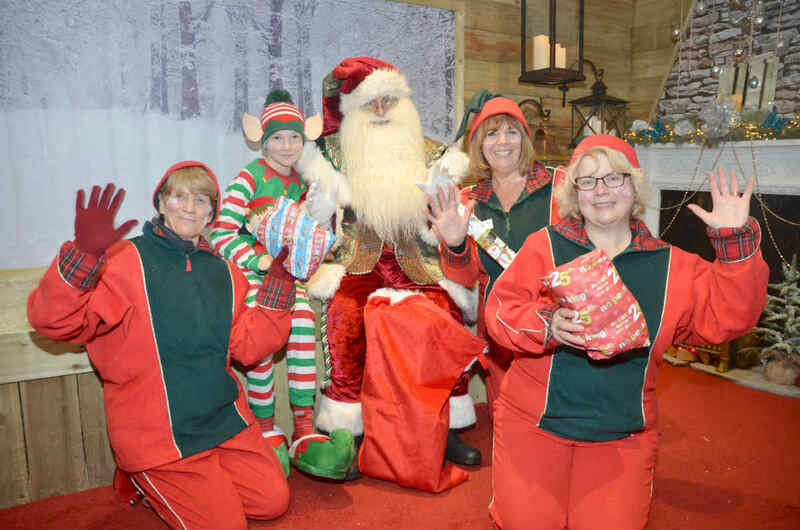 The 14 newly recruited elves at Stewarts Garden Centres at Christchurch and Broomhill in Dorset had their first opportunity to work with Santa in his wonderful winter wonderland on 24 November. Santa arrived at the centres in style driven in a 1914 Rolls Royce 40/50 ‘Alpine Eagle’ Continental, from the National Motor Museum, Beaulieu with cheers from the crowds. Susie Stewart, who manages the Christmas events and displays at the centres, said that the recruitment of the large number of elves is vital. “They meet and greet the families and accompany them through the magical winter wonderland towards Santa’s home. Here, they help Santa select presents for the boys and girls and will appear in photos taken by proud parents,” said Susie Stewart. At least six elves from previous Christmases have continued to be employed at Stewarts and now work hard to prepare the splendid Christmas departments that have already been opened with a charity preview evening where many of the visitors enjoyed their first Christmas dinner with all the festive trimmings. June Borley from Milford on Sea has been an elf at Stewarts for four Christmases in a row. This year Santa had a special young elf accompanying him; 10-year-old Alex Coombes from Hordle enjoyed meeting the crowds after riding in the vintage Rolls Royce.